If you have been saying “ouch” and grabbing your mouth recently, it is time that you have it checked out. Dental emergencies can arise at any time and even happen to patients who keep up with their dental hygiene. You never know when an emergency might occur and depending on the type of emergency it is, you may feel excruciating pain in your mouth. While there are some home remedies such as an ice pack or over-the-counter pain relievers, how long can they really last you? You need true dental help and that means urgent care when the pain happens. Accepting that you will have to live with a severe toothache is not the way life should be and it does not have to be. Take a moment to browse the listings of Friendswood emergency dentists below. You will be able to identify which offices offer emergency services in Friendswood. In addition to 24-hour options, you will find that many of the Friendswood options include walk-ins and after hour appointments. Many dental offices are only open from 9:00 am until 5:00 pm Monday through Friday. You may be hard-pressed to find one of them open on the weekend and this means that you may have to deal with your dental pain all weekend long. And, if you work a traditional day job, you may have to put your dental care on hold until you can take time off work. This means you must try and live with the pain and that is not any fun at all. There are emergency dentists in Friendswood that can see you any time of the day or night to perform the procedure you need to have done. These dentists offer around the clock care, so you never should worry about simply dealing with the pain or taking time off work. Friendswood 24-hour dental offices are ideal for patients who need immediate care and they cannot wait another hour or two to receive it. These patients are often in serious pain or have an emergency condition such as a broken jaw or a knocked-out tooth. In addition to a 24-hour emergency clinic in Friendswood, you will find that after hour clinics are available too and many of them are open until 7:00 pm, which allows you to head there after work to receive care. This option is ideal for patients who need attention for their tooth, but it is not quite an emergency yet. Whether you have a new toothache or you have been dealing with one for days, the last thing you want to do is try to muster up the energy to use your painful mouth to call a bunch of places in hopes to find help. Luckily, you do not have to. We have created a complete list of emergency dentists in Friendswood. You can look at the list below and choose an emergency dentist and then call them to schedule an appointment. DescriptionWe know that when one of your young ones suddenly has a severe aching in their tooth, you want them to get comfortable as quickly as they possibly can. Relief is just one quick call away; by using our hotline and referral service, you can locate the best professional to take care of the problem. If you are looking for a dentist open on Saturday in the Friendswood and Clear Lake area, then you should pay a visit to Dr. Seretti dental clinic. Located in the heart of the NASA area, this facility offers massage chairs, sterile equipment procedures of high standards, and technology such as virtual reality glasses. With very competitive pricing, discounts for seniors, a 24 hour on call dental clinic for Friendswood, Clear Lake, Webster, and other nearby residents, you ought to scrutinzie this option carefully. Dr. Seretti obtained his DDS degree as a graduate of UTHSC Dental Branch at Houston and with 15 years of experience in general dentistry and other dental specialties, he brings a lot of competence and dedication to his patients. When you decide that you need to see someone pronto, this emergency dental care clinic in Friendswood/Clear Lake area is worthy of strong consideration given their 24/7 on call service and regular Saturday hours. Description: Made Ya Smile Dental is a location in Friendswood TX that can assist you with root canal therapy, wisdom teeth coming in improperly, aching teeth, and teeth that have been knocked loose. They have standard weekday hours, and are closed at 5PM on Monday and Tuesday, while staying open until 7PM on Wednesday and Thursday. Any problems you are encountering from broken crowns, injury to the jaw, or other tooth infections can be taken care of quickly at Made Ya Smile Dental. Description: Friendswood Modern Dentistry is a weekday clinic that is a great one-stop clinic if you are encountering problems with infections or abscess, cracked or broken teeth, or other general dental issues. 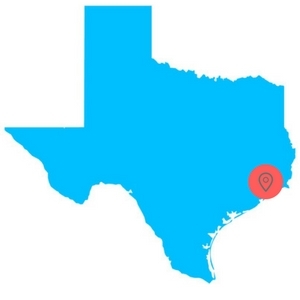 This Lone Star State care provider is known for their hospitality and great bedside manner: don’t hesitate to come visit when anything with your teeth is bothering you, your family members, or friends. Friendswood emergency dental offices are just like your general dentist’s office, except you can receive care when you need it no matter the time. Before you head into the office to receive treatment, it is a good idea to inquire about the cost of the services so there are no surprises. Most dentists will ask you to either pay before the service is rendered or immediately after so you must be prepared. You should inform the dental office if you have insurance so that they can properly bill you and the insurance company. It is also a good idea to find out what payment options they take, as they may not accept all of them. When you arrive for your appointment, it is advised that you go in 15 minutes early, unless you are a returning patient. All new patients will need to fill out some paperwork that asks questions about your dental and medical health. This paperwork will be reviewed by the dentist to ensure the proper care is administered. If you suffer from dental anxiety, don’t be afraid to bring it up as the office may offer sedation options in Friendswood. In addition, let the office know if you have any allergies and what those allergies are to. 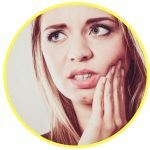 Tooth pain can cause you to want to rip your hair out and if you are in severe pain, you may have one of the common dental emergencies that arise in patients. Some of these emergencies arise quickly, such as a tooth that gets knocked out or an abscess that forms in the mouth. Other emergencies take time to form such as severe tooth decay. No matter what type of emergency you may have, you need to receive quality care right away. Every dental emergency should be looked at and treated quickly by a trained and qualified emergency dentist in Friendswood. If you delay the care you need, you may find that the infection spreads or you develop tooth decay on your other teeth. Emergency dentists in Friendswood are prepared to work with you to help you get through the pain you experience and eliminate it. You can receive treatment around the clock. Reading the information provided on emergencydentistsusa.com is not meant to be a substitute for professional medical advice and should only be used for information purposes. If you have one of the emergencies below, call your local Friendswood urgent care dentist now. Fillings can come out of your tooth, especially when the tooth breaks or has lost some of its integrity. It is important for you to try to recover the filling, but sometimes you cannot and that is understandable. If you have a lost filling, you should place a piece of sugar-free gum into the hole or use an over-the-counter dental cement available at almost all drug stores. Always make sure that you use a sugar-free gum, as a traditional sugar gum can cause pain and discomfort. It is important that you see your dentist immediately or schedule an appointment with a Friendswood, TX emergency dentist. If you have lost your crown, it is important that you attempt to recover it and save it for your dental appointment. Crowns can fall off at any time due to eating a sticky substance or due to wear over the years. If your crown does fall off, you may want to try to reattach it until you can get into your dentist’s office, but you do not have to. If you experience pain, you should place clove oil on the tooth. 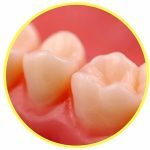 If you have lost your crown, it is important for you to follow up with a Friendswood, TX emergency dentist immediately. 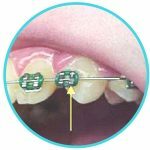 If you have a broken wire on your braces bracket, it is important that you do not try to cut the wire on your own, as this can lead to inhalation of the metal piece and this may lead to choking. If the wire is making it uncomfortable for you to talk or keep your mouth closed, you should attempt to move it with an eraser on the end of a pencil. If this does not work, you should apply a dental wax or place a cotton ball on the wire to prevent any issues with it. If you have a broken wire, call a Friendswood emergency dentist now. It is vital that you receive the extraction when it is recommended, as delayed dental care can mean that your problem gets worse or that your other teeth become infected as well. Once the extraction is performed, you will only need about a day or two to recover and that’s it. Most patients do not even need this, but do take your time and do not try to rush the healing process. You should follow the care tips provided to you from your emergency Friendswood dentist, but here are some additional tips to ensure you’re comfortable. When you start to experience dental pain that is unbearable, you may instantly think to head to the emergency room because, after all, they handle emergencies. While this seems like a good idea, they will not be able to help you. The reason is because they are medical doctors and not dentists. Medical doctors do not focus on the teeth, so they cannot perform the procedure you need. They can prescribe you medication, but that is about all they can do. Now, if you have sustained trauma to your mouth, been involved in an accident, fallen, or broken your jaw, then you should go to your local Friendswood emergency room. You would get the best care from an emergency dentist in Friendswood. They focus solely on dental problems and have the tools to perform the procedure you need to eliminate the pain you experience. They work around the clock and can provide immediate care. If you think that you may be experiencing a dental emergency, but you cannot get in touch with a Friendswood emergency dentist, you should head to the closest emergency room to receive care. The ER will not be able to perform dental procedures, but they can look over your mouth to ensure you are not experiencing a life-threatening condition and they can prescribe you medication to help you deal with the pain until you can see a dentist. While tooth pain may seem mild at first, it can become intense quickly. The amount of pain that you experience will depend on the exact cause of it. If you think you need to receive dental care, do not wait and do not delay the care, as this can lead to further complications. The Emergency Dentists USA portal is a website that is intended to be used for information only and should never be solely relied upon or used to replace the advice from a medical professional. If you have an emergency and you cannot reach a Friendswood dentist, call 911 immediately to receive the attention you need. We do recommend that before you visit any new dentist, you look to the local Texas dental society to learn more about the dentist’s’ credentials and license. You should check the Texas Dental License and Registration Search and the American Dental Association. If you have a dental emergency and are in pain, you should look for a Friendswood emergency dentist now. If you cannot find one or you cannot get in touch with one, you should call 911 or head to your local emergency room to receive temporary care. The Emergency Dentists USA website should be used for informational purposes only and should not be used to replace advice from a medical professional.